I encourage my bike racers to try ALL the racing disciplines, whether its track to help with leg speed and vision at speed, road for endurance and tactics, mountain for pure power and handling, cyclocross for the all around handling and fitness from running sections, and criterium racing for speed, sprinting, and high end fitness and sharpening. 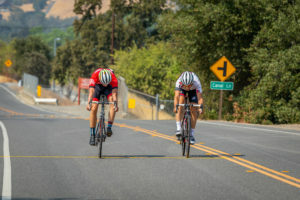 Very stoked to see Max Mcfadden getting back into his racing season(s) with a win in his category at the Norcal classic Winters Road Race. What a GREAT bike throw Max!